The AT in Maine features the most remote hiking on the entire trail, including the final stretch between the town of Monson and the summit of Katahdin (the northern terminus of the AT) which is known as the Hundred Mile Wilderness. The trail in Maine is a place of indescribable beauty punctuated by long stretches through verdant woodlands and vistas from bald granite summits. The terrain (roots, rocks and mud are prevalent) can be tough on pace, footwear and feet. From May through early August insects (primarily black flies and mosquitos) are so thick they drive the moose into the lakes for relief. If you’re hiking through in those months, be prepared to fend them off or you may be swimming with them! 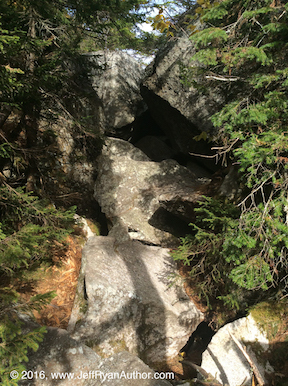 Mahoosuc Notch is a valley chock full of giant boulders that fell from the cliffs above. It is considered by some to be the toughest mile of the AT because of the gyrations required to get through, especially with a bulging pack. 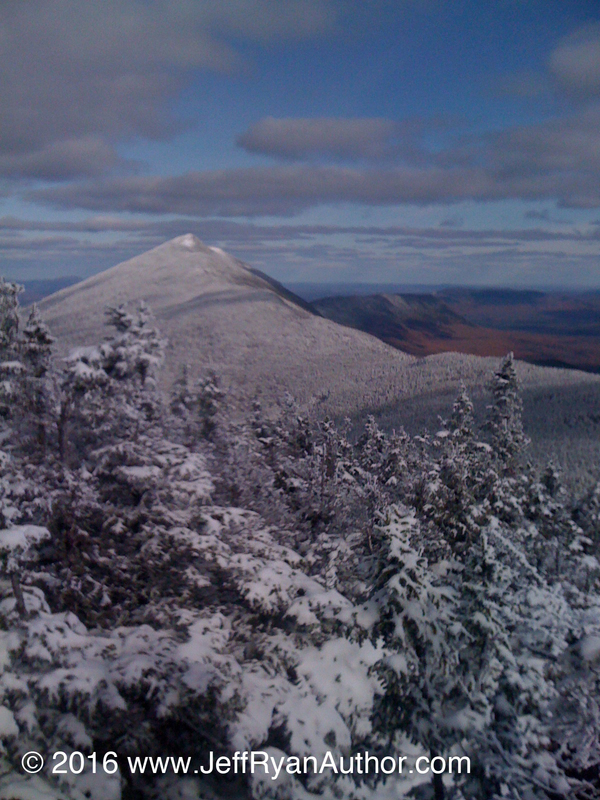 Bigelow Range – Exceptional views over Flagstaff Lake, the Carrabassett Valley and, on a good day, as far as Katahdin. 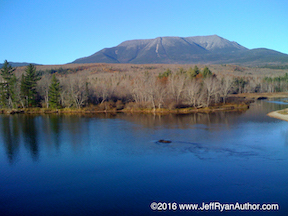 Katahdin – Northern terminus of the AT. At 6269 feet, it’s the highest point in Maine and, in my opinion, one of the most inspiring places, not just on the AT, but in the world. Starting on the east side of the Kennebec River, this hike takes you up and over the open summit of Moxie Bald Mountain before taking you on a woodland and riverside walk. It’s a real treat. Please note that if you want to add mileage to your trip by starting south of Caratunk, you’ll have to arrange for a ferry crossing of the Kennebec River. (The word “ferry” may conjure images of large vessels, but in this case, it’s actually a canoe.) 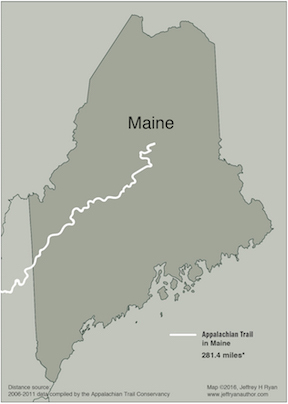 The ferry service is operated by the Maine Appalachian Trail Club from late May to early October. DO NOT ATTEMPT TO CROSS THE KENNEBEC WITHOUT USING THE FERRY SERVICE. The dam upstream may release water without notice. For more info about the ferry service, click here. A huge nod of thanks to the Maine Appalachian Trail Club (founded by Myron Avery himself) for providing this service. It’s the only river crossing on the whole AT where you’ll need a helping hand to get across. As stated above, you could easily add this section with the one above to create a nice 75-mile hike. (Because I live in Maine, it was easy for me to split it into two shorter hikes.) Just don’t forget to plan for the ferry crossing at the halfway mark. The highlight of the trip is the Bigelow Range (see above). If you want to get your legs into trail shape and lighten your food load before the climb up and over it, the north-south hike is the way to go. Either way, you’ll be rewarded with some of the finest views on the whole AT. One of the most hallowed sections of the entire AT is a splendid hike through remote forests, along streams and over mountains. Please note that I did not include the hike to the summit of Mount Katahdin in my mileage total. That climb entails an additional 9 miles (4.5 miles of climbing and the return trip to Katahdin Stream Campground. You will need to arrange for climbing permits and accommodations through the Baxter State Park Authority for that. One more important note about the Hundred Mile Wilderness – If you’re new to backpacking or out of shape, this is probably the worst hike on the entire AT to attampt. Here’s why. If you don’t have the right gear, there’s no place to get it and if you have too much gear, there’s no place to get rid of it. There is literally one place where you can access the trail between Monson and Abol Store (10 miles south of the Perimeter Road). In addition, cell phone coverage in this area is the worst on the trail. You won’t be able to easily call for help. Please take these considerations into account before you hit the trail. Public transportation isn’t an option for most of the AT in Maine. However, there are shuttle services that can help you out. I’ve had really good luck parking on one end of the section and having a shuttle driver take me to the starting point. That way, you can simply walk toward your awaiting vehicle. The Appalachian Trail Conservancy publishes an up-to-date list of trail shuttle providers. You may also find this blog post on Loop Hikes and Trail Shuttles helpful.